Our Instant Taps are stylish, compact and discreet; and for this month only, we are offering free installation and 3 months free rental on the entire range. Perfect for breakout areas, hotels and conferencing venues, Instant Taps dispense instantly-ready boiling, ambient or chilled filtered water at the touch of a button. Whether you need hot water taps or chill taps, we have the right tap to suit your specific requirements and we offer comprehensive service plans for full peace of mind that will save you money in the long-term too. Submit your details below to find out more, and someone from our team will be in contact shortly. The elegant Instant Tap effortlessly dispenses boiling and ambient water, and is adaptable to include a chilling system too. 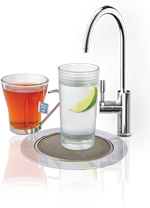 The Chill tap is a stylish tap system which provides limitless and filtered chilled water at your preferred temperature. 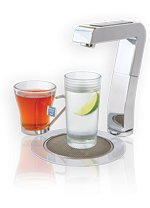 Why Choose AquAid Instant Taps? In addition to our high-quality range of Instant Taps, we are also the UK’s leading water cooler supplier to offices and schools across the country. Our water solutions include hot water taps, chill taps, water boilers and a comprehensive range of bottled and mains fed water coolers. As one of the largest water cooler companies in the UK, we strive for customer excellence at all times. Whether it’s a breakout area for your office or school, a hotel or conferencing venue, we will tailor all requirements to find the perfect water solution to suit your specific needs. We also believe in making a positive difference in the world which is why we donate a portion of all revenue to charity. To date we have donated £12 million and helped bring life-saving water to over 2 million people.